Phoenix Models: one limited edition collectible, die cast airliner model, in a 1/400th scale of a Boeing B777-300/ER in the Qatar Airways Current OneWorld Colors Scheme. Airframe Registration -A7-BAB. The model is constructed of metal with some plastic parts. This product was released in August, 2018. Phoenix Models: one limited edition collectible, die cast airliner model, in a 1/400th scale of a Boeing B777-300/ER in the Qatar Airways Current mainline Colors Scheme. Airframe Registration -BEM. The model is constructed of metal with some plastic parts. This product was released in August, 2018. Phoenix Models: one limited edition collectible, die cast airliner model, in a 1/400th scale of a Boeing B777-3DZ/ER in the Qatar Airways NEW special FIFA World Cup 2022 Colors Scheme. Airframe Registration A7-BAX. The model is constructed of metal with some plastic parts. This product was released in October, 2018. Phoenix Models: one limited edition collectable, die-cast metal airliner model in a 1/400th scale of a Boeing B747-8F in the Qatar Cargo Airways Current Colors Scheme. Airframe Registration A7-BGB. This model is constructed of die-cast metal with some plastic parts. This product is available beginning in November 2017. 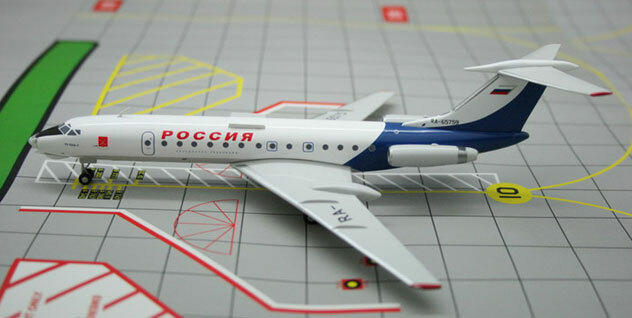 Phoenix Models: one limited edition collectable, die-cast metal airliner model in a 1/400th scale of a Ilyushin IL-96-300PU in the Rossiya - Russian State Transport Company Current Colors Scheme. Airframe Registration RA-96016. This model is constructed of die-cast metal with some plastic parts. This product is available beginning in May, 2018. Phoenix Models: one limited edition, collectible die cast airliner model in 1/400th scale of a Boeing B747-446 in the Rossiya Russian Airlines Old 2016’s Colors Scheme. Airframe Registration EI-XLJ. The model is constructed of metal with some plastic parts. This product was released in June, 2017. Phoenix Models: one limited edition, collectible die cast airliner model in 1/400th scale of a Boeing B777-312 in the Rossiya Russian Airlines Old 2016’s Colors Scheme. Airframe Registration EI-UNN. The model is constructed of metal with some plastic parts. This product was released in June, 2017. Phoenix Models: one limited edition, collectible die cast airliner model in 1/400th scale of a Boeing B777-312 in the Rossiya Russian Airlines Special Old 2016’s Amur Leopard Colors Scheme. Airframe Registration EI-UNP. The model is constructed of metal with some plastic parts. This product was released in June, 2017. Phoenix Models: one limited edition collectable, die-cast metal airliner model in a 1/400th scale of a Boeing B787-9 Dreamliner in the Saudia - Saudi Arabian Airlines Delivery Color Scheme. Airframe Registration HZ-ARA. This model is constructed of die-cast metal with some plastic parts. This product was released in Released in March, 2016. Phoenix Models: one limited edition, collectible die cast airliner model in 1/400th scale of an Boeing B767-36D in the Shanghai Airlines Current Colors. Airframe Registration B-2567. The model is constructed of die-cast metal molded with some plastic parts. This product was released in July, 2011. Phoenix Model: one limited edition, collectible die cast airliner model in 1/400 scale. All construction is made of metal, of an Airbus A321-231 in the China Sichuan Airlines Current Colors. Airframe Registration B-6285. This models is available as of October, 2008. Phoenix Model: one limited edition, collectible die cast airliner model in 1/400 scale. All construction is made of metal, of an Embraer ERJ-145/LR in the China Sichuan Airlines Current Colors. Airframe Registration B-3042. This models is available as of December, 2006. Phoenix Models: one limited edition collectable, die-cast airliner model in a 1/400th scale of an Airbus A340-343 in the Singapore Airlines Current Color Scheme. Airframe Registration 9V-SSH. This model is constructed of die-cast metal with some plastic parts. The product was released in January, 2016. Phoenix Model: one limited edition, collectible die cast airliner model in 1/400 scale. All construction is made of metal, of an Boeing B767-3Q8ER in the Skymark Direct TV Color Scheme. Airframe Registration JA767A. This models is available as of Nov. 12, 2003. Phoenix Model: one limited edition, collectible die cast airliner model in 1/400 scale. All construction is made of metal, of an Boeing B777-2M2/ER in the TAAG-Angola Airlines "Delivery" Colors. Airframe Registration D2-TED. This models is available as of November, 2006. Phoenix Models: one limited edition, collectible die-cast metal airliner model in 1/400th scale of an Boeing B767-33A/ER in the TAM Lineas Aereas Current Colors. Airframe Registration PT-MSQ. This model is constructed of die-cast metal, molded with some plastic parts. This product was released in Released August, 2012. Phoenix Models: one limited edition, collectible die-cast metal airliner model in 1/400th scale of an Airbus A340-541 in the TAM Linhas Aereas Old Delivery Colors. Airframe Registration PT-MSN. This model is constructed of die-cast metal, molded with some plastic parts. This product was released in Released July, 2012. Phoenix Models: one limited edition, collectible die cast airliner model in 1/400 scale of an Boeing B747-4D7 in the Thai Int?l. Airways Old Colors, Airframe Registration. HS-TGB. The model is constructed of die-cast metal with some plastic parts. This product was released in October, 2010. Phoenix Model: one limited edition, collectible die cast airliner model in 1/400 scale. All construction is made of metal, of an Boeing B747-4D7 in the Thai International Airways Chaiprakarn APEC Thailand 2003 Scheme Special Corporate Model Airframe Registration HS-TGH. This models is available as of December 9th, 2003.